Combine Canadian Swiss cheese, ham, onions and sour cream in medium bowl; mix well. Add salt and pepper to taste. This preparation can be refrigerated up to 2 days before using. 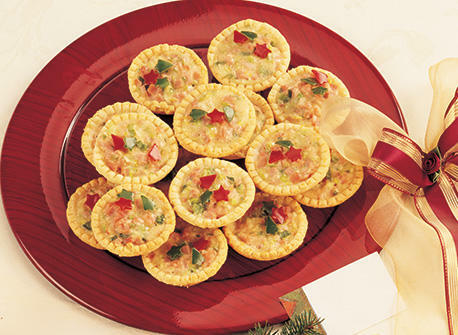 Place tart shells on large baking sheet. Bake in 375 °F (190 °C) oven 10 minutes. Remove from oven. 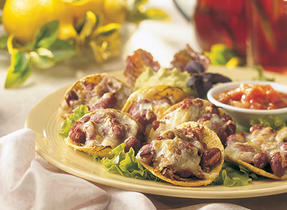 Divide cheese mixture evenly among shells. Return to oven and bake 10 minutes longer or until filling is hot and melted. *For a change of taste use Canadian Gouda, Emmental or Colby cheese.